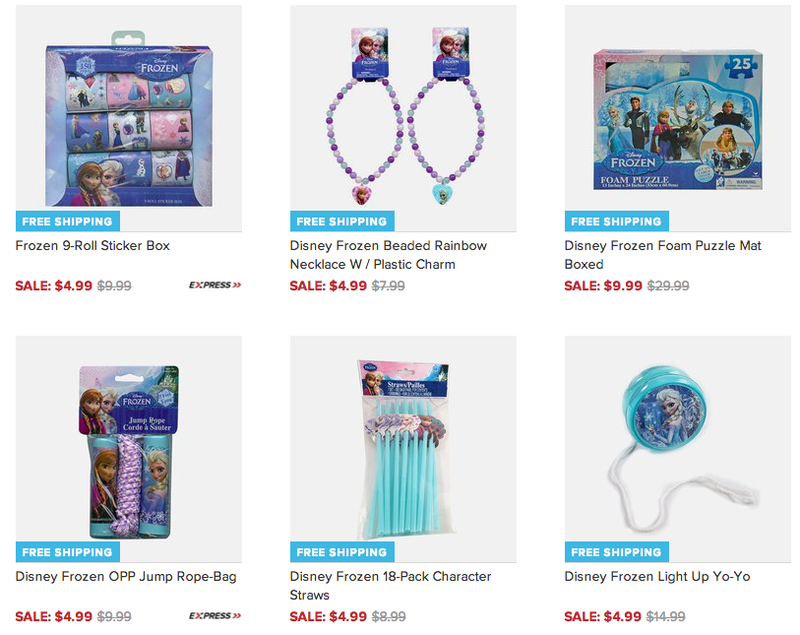 Disney's Frozen Toys, Stickers and Jewelry Just $4.99 + FREE Shipping! You are here: Home / Great Deals / Disney’s Frozen Toys, Stickers and Jewelry Just $4.99 + FREE Shipping! Disney’s Frozen Toys, Stickers and Jewelry Just $4.99 + FREE Shipping! If your little ones are addicted to anything Frozen like mine, then you cannot miss this HOT sale! Right now, you can score Disney’s Frozen Toys, Stickers and Jewelry for just $4.99 + FREE Shipping! These will make the perfect stocking stuffers, too! !